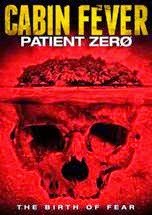 (Toronto – May 12, 2014) Cabin Fever: Patient Zero is a gory and blood-filled horror film about a group of young partiers who become lethally ill and must find a cure before a flesh-eating epidemic annihilates them all. This prequel in the Cabin Fever franchise promises to be as gruesome as its predecessors. A group of partygoers venture to a mysterious Caribbean island where they discover an abandoned research facility. Two of the partiers go for a swim, unaware that the water is contaminated. Soon they show symptoms of a wretched flesh-eating virus and the group has limited time to search for a cure. The group finds an ominous doctor with an immune patient who may hold the cure – or death. The group must find a way to survive the epidemic before it consumes them all, one by one. The latest instalment in the Cabin Fever franchise is presented as part of Raven Banner and Cineplex Entertainment’s Front Row Centre Events Sinister Cinema series, which brings unique horror films to the screen for one night in 28 theatres across Canada. The third instalment of the Cabin Fever series is directed by renowned graphic novel writer and artist, Kaare Andrews, the first recipient of the Shuster Award, who was recognized for Outstanding Artist in 2005 for his work in Spider-Man: Doctor Octopus. 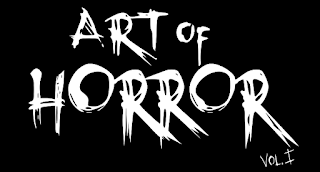 The British Columbia native, who also directed the V for Vagitus portion of the anthology horror comedy The ABCs of Death, has made many low budget short films earlier in his career. In a notoriously gory series whose previous directors have become household names in horror, Andrews’ artistic eye and significantly large budget should bring many creative thrills and spills to Cabin Fever: Patient Zero.